As an actor, Robert Downey Jr. hasn’t lost his footing with this character. He is the same cocky smart aleck here that he was five years ago when he launched the character. This sequel offers two new peerless performances by Guy Pearce (as Aldrich Killian) and Ben Kingsley (as The Mandarin) – dangerous, menacing, wacky, bigheaded antagonists. After two movies, however, you would think Gwenyth Paltrow (as Pepper Potts) and Don Cheadle (as War Machine) would become more complex by this point. They come and go, but it’s Tony’s show. 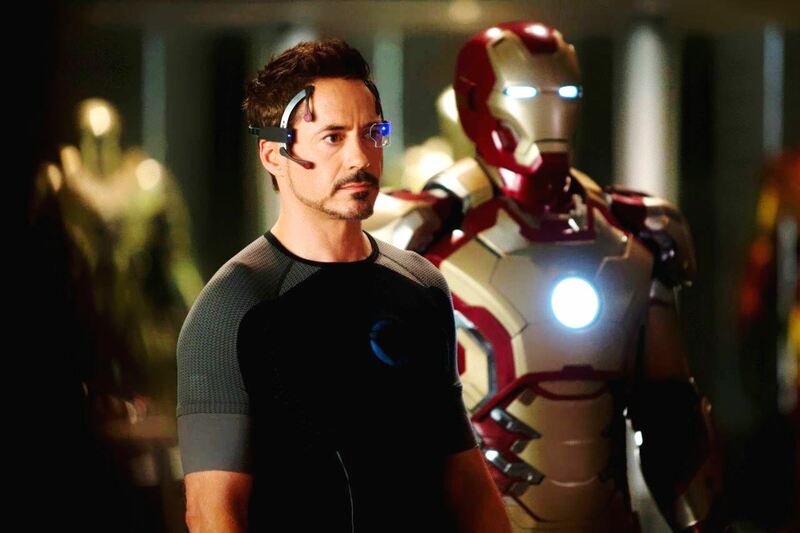 Unconventionally, yes, Tony works without his suit most of the way, more often operating the suit on remote control. We demand more theatrics, but hold on – we get ’em. A spectacular scene features the “The Barrel of Monkeys Skydiving Team” as referred to at the end credits, and of course, a rescue-the-U.S.-President spectacular finale with a few explosions that compare to Fourth of July fireworks. Confession: I wasn’t entirely sure what the villain’s plan was, I was too hypnotized by his general weirdness. In broad strokes, this is another Hollywood topicality take on global terrorism. This entry isn’t Tony Stark’s biggest adversity ever. Even captured, he doesn’t seem all that panicked. 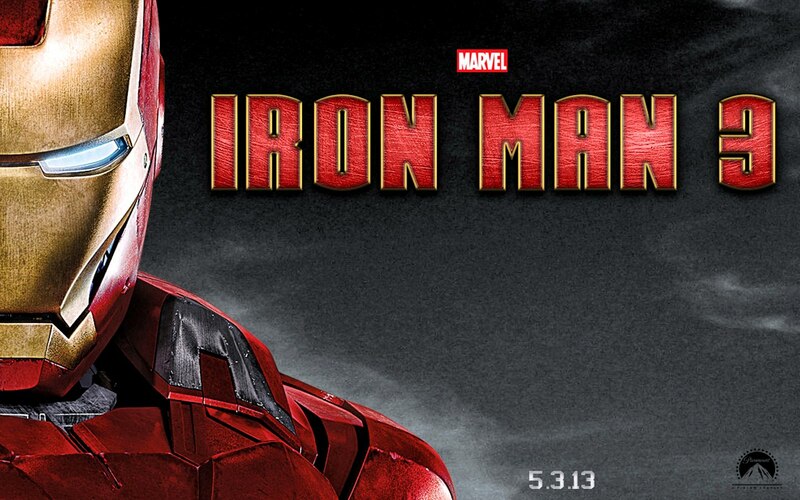 Downey is playing a cool-cat hero who gets the job done with no-sweat elán. He even imitates Gene Kelly more than once (For you kids, Kelly’s the guy from the musical classic “Singin’ in the Rain”). 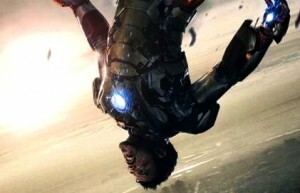 “Iron Man 3” is breezy and with less chaos, which will make a few action-hungry audiences impatient. But I think the droll comedy is a welcome change-of-pace for the series and in the near enough future will play well on home video. Downey had reason to be extra comfortable in this second sequel – he starred for Shane Black before in 2005’s “Kiss Kiss Bang Bang,” an irreverent and quirky satire on the detective genre. For discriminate and highly demanding movie buffs, truth be told you’ve seen this movie before – a third movie of any franchise has unavoidable “redux” bearings. But if you’re in a light and easy-going mood, you might be able to appreciate that Black and Downey have given us a refreshing new groove. Jon Favreau, who dropped out of the director’s chair from the previous two efforts, appears again as Tony’s bodyguard and associate. Also with Rebecca Hall, James Badge Dale, William Sadler, and Mark Ruffalo as Bruce Banner (stay past the end credits). Film Cousins: “Kiss Kiss Bang Bang” (2005); “Iron Man” (2008); “Iron Man 2” (2010); “The Avengers” (2012). Action & Adventure, Ben Kingsley, Don Cheadle, Gene Kelly, Guy Pearce, Gwyneth Paltrow, Male Aggression Pandemonium, Mindless Fun, Movie Review, Robert Downey Jr.